It’s that time of the year again when our dads get to be in the limelight as the world celebrates Father’s Day. For the typical Filipino family, the father serves as the head and the provider. He is also usually the one behind the wheel and gets to decide which car is best for the family. This decision rests on three vital things: the car’s performance, convenience, and safety. 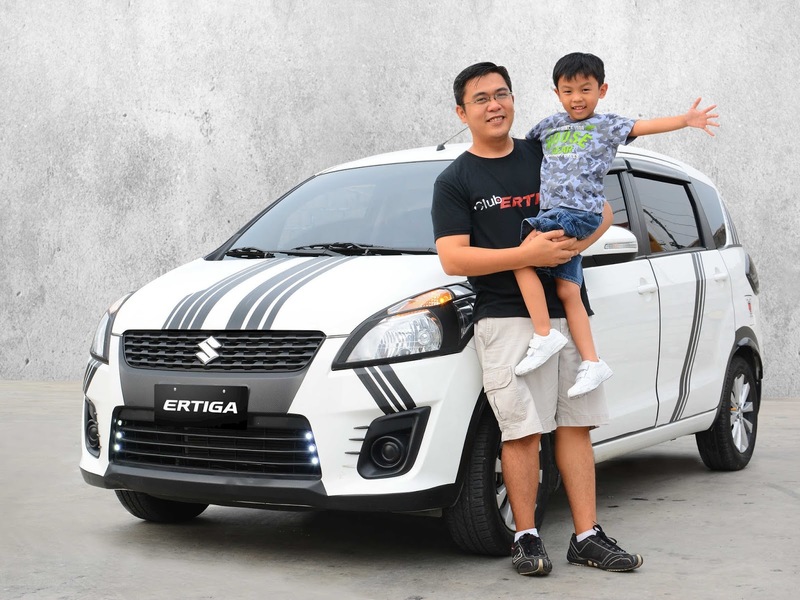 Good thing for EJ Reyes, a father of two, there is a vehicle that embodies all three traits, and more: the Suzuki Ertiga. Spacious, reliable, and affordable—these features make up Suzuki’s Life Utility Vehicle (LUV), the seven-seater, compact, multi-purpose Ertiga. Stylish and easy to maneuver, fuel efficient, and competitively-priced, the Ertiga is furnished with the best characteristics of a compact MPV. The versatile Ertiga is equipped with a 1.4 liter engine displacement, maximum power of 95Hp at 6,000rpm, a maximum torque of 130Nm at 4,000 rpm, and an average fuel efficiency of 16.02 km/L, making every ride smooth and cozy. According to Reyes, President of Club Ertiga Philippines, this multi-purpose vehicle is ideal for any family’s daily use. “I enjoy using the Ertiga not only when I bring my kids to and from school, but also when my whole family goes to out-of-town trips. I am confident that we will get to our destination safely and comfortably. Plus, I can save on fuel expenses because it has a fuel-efficient engine,” Reyes shares. The Ertiga’s spacious interiors can comfortably seat up to seven people. On top of that, it has 113 liters of space where shopping bags or travel luggage can be placed. The Ertiga also has second row air-conditioning to keep its passengers comfortable and cool during road trips. For true-blue heads of the family like Reyes, being a husband and dad means being both a provider and a protector. For this role, Reyes chooses Ertiga as his reliable vehicle partner given the car’s safety features. The Suzuki Ertiga is designed with SRS dual front seat airbags, three-point ELR seatbelts, and ABS with automatic brake force distribution in GL and GLX variants to ensure safe drives. Dads may have different styles when it comes to raising kids, wooing ladies, and keeping up with their personal hobbies. 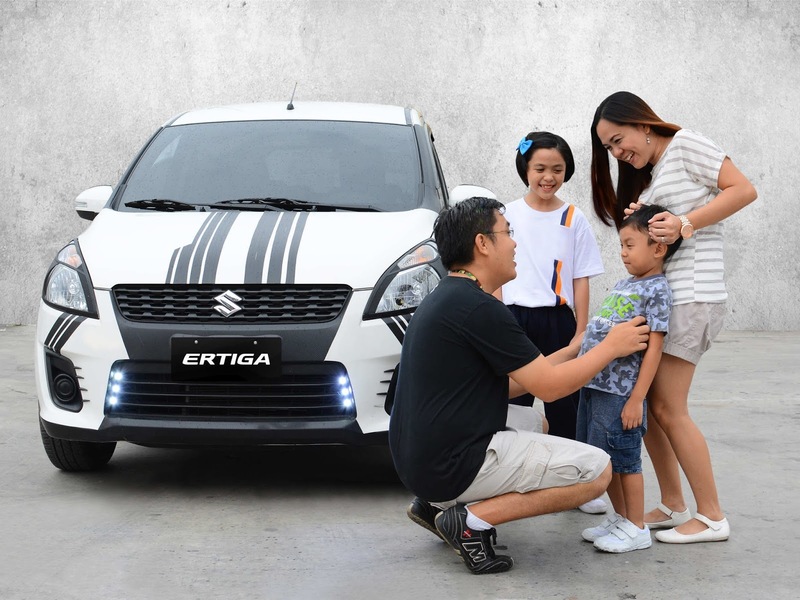 Whatever their lifestyle, dads can look to Ertiga as their reliable car partner.